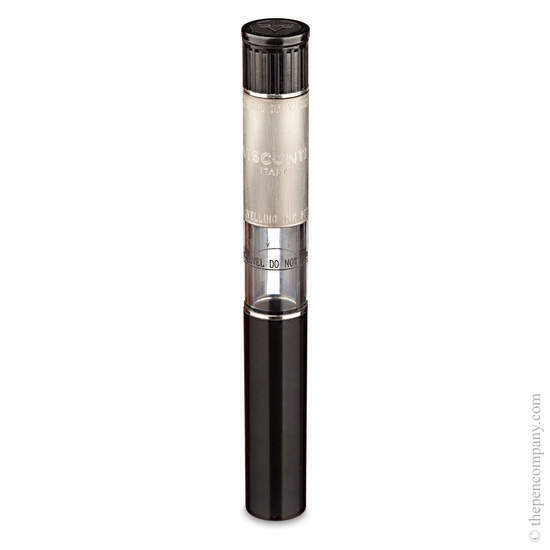 Visconti's patented travel inkwell provides a convenient and safe way to transport ink on the move and refill all types of fountain pens easily. I have been travelling with ink bottles that have had cracked lids due to knocks, and suffered with soiled items in my bags, resulting in soiled fingers. There is nothing more annoying for a fountain pen fanatic like me. After seeing the Visconti Travelling Inkwell on YouTube, I decided it was the way forward for me. It is not always convenient carrying an ink bottle to meetings, but this the VTI works well. As soon as I received it (next day after order by 1st class post), I tested it with water, and it worked brilliantly. It even filled my expensive fat Mont Blanc. The Pen Company staff are truly customer focused, with wow factor service. Thank you Visconti and the Pen Company. Yes, this inkwell is compatible with the AL-Sport. The Visconti travel inkwell is intended to be "universal" and can be used with almost any fountain pen. The travel inkwell is a sealed vessel with a push fit stopper, which holds considerably less than 100mL and so should not present a security problem for air travellers. There is a maximum fill mark on the inkwell, but as the stopper is a push fit it can't be guaranteed that it would not leak under extreme conditions. 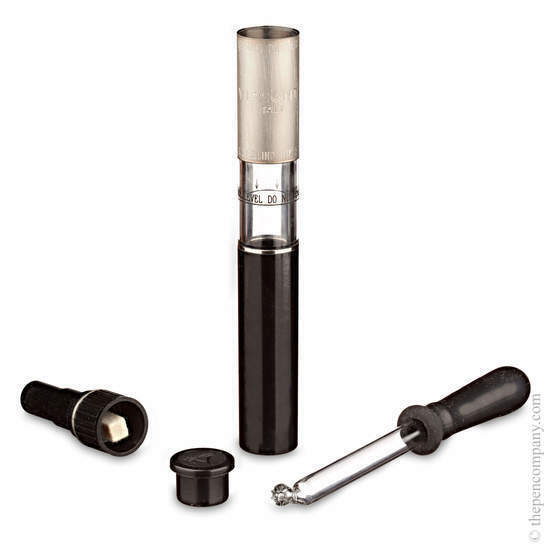 The inkwell itself has a truncated conical rubber sleeve inside which seals around the grip when you insert the pen. Markiaro Dolcevita double and triple, Kjaia double and triple, Zip pen case.